Mr Key has not repeated those statements since April 2012. Kristine Bartlett and the Service and Food Workers Union lodge a claim with the Employment Relations Authority, alleging Ms Bartlett’s employer Terranova Homes and Care Ltd was in breach of the Equal Pay Act 1972. Ms Bartlett’s case referred to the Employment Court as it raises an important question of law. A preliminary Employment Court hearing held on questions of law. Unions are hailing an Employment Court decision which allows a female rest home caregiver to argue she is underpaid because she is in a female-dominated industry. Hutt Valley woman Kristine Bartlett is arguing her employer Terranova Homes is violating equal pay for equal work legislation, saying she would get more money if she was not working in an industry dominated by female staff. The Employment Court held a preliminary hearing after Terranova Homes argued the court could only compare staff within its own workplace and not look at other workplaces. The three court judges say the legislation makes specific provision for work predominantly performed by women. The law says pay rates must be the same as male employees with the same, or substantially similar, skills, responsibility and service performing the work under substantially similar conditions and with substantially similar effort. The judges said there was no way gender discrimination in pay could be removed if they could not compare pay rates more widely. Terranova appealed this ruling to the Court of Appeal. A decision on a landmark pay equality case has been reserved by the Court of Appeal. The Employment Court last year found in favour of Lower Hutt caregiver Kristine Bartlett, who argued her $14.32 hourly pay rate was a result of gender discrimination under the Equal Pay Act. The ruling – which paves the way for pay equality in the female-dominated aged care sector – has been challenged in the Court of Appeal by Ms Bartlett’s employer, Terranova Homes. The two-day hearing finished yesterday with the decision by Justices Mark O’Regan, Lynton Stevens and Christine French reserved. The Court of Appeal has supported an Employment Court decision which ruled that a Lower Hutt rest home worker should receive pay parity with other equivalent sectors. Kristine Bartlett won her landmark Employment Court case last year – arguing that being paid less than 15 dollars per hour, despite working in rest homes for over 20 years, was discriminatory. Her employer, Terranova Homes and Care, took the issue to the Court of Appeal. But the Appeal Court has dismissed the appeal, saying the language and purpose of the Equal Pay Act back up the decision by the Employment Court. Today the New Zealand Aged Care Association will appeal to the Supreme Court on behalf of TerraNova Homes and Care Limited in their case with the Service and Food Workers’ Union and Kristine Bartlett. “This case has vast implications for all New Zealanders and we felt compelled to have the highest court in the land settle the questions around the Equal Pay Act 1972 once and for all,” said Martin Taylor, CEO of the NZACA. “In handing down its recent judgement, the Court of Appeal said the decision was finely balanced with strong arguments favouring both sides. We believe the issue must be seriously looked at and tested again. The Supreme Court has denied aged care provider Terranova Homes and Care, at the centre of a landmark court case paving the way for gender pay equity, leave to appeal the ruling.In October the Court of Appeal dismissed an appeal by Terranova Homes against an earlier Employment Court ruling backing Lower Hutt rest home worker Kristine Bartlett’s claim that women care workers’ low pay was discriminatory. She took a case against her employer, arguing her $14.32 an hour pay rate was a result of gender discrimination under the Equal Pay Act. The Service and Food Workers Union also made a claim on behalf of 15 other caregivers employed by the company, asking for a statement of the general principles to be observed for implementing equal pay. In a Supreme Court decision out this afternoon, the judges said it considered the company’s appeal premature. 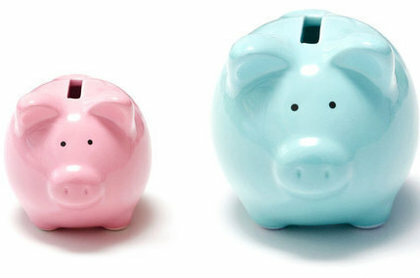 Equal pay on the way for women? The government has set up a taskforce to look into pay equity issues, which could lead to a change to the current law. Minister for Workplace Relations and Safety Michael Woodhouse said unions and employers had agreed to a working group to establish principles for dealing with pay equity claims. It had been prompted by a recent Court of Appeal decision on pay rates in the aged care sector, which found women in predominantly female workforces were paid less. Case scheduled to go before the Employment Court to early 2016 (dates to be determined). The case of Kristine Bartlett is a relatively simple one. For twentytwo years working-experience in rest-home facilities she earned just barely above minimum wage. Since the 1990s, her wages have risen by $5. Ms Bartlett’s profession is predominantly female, and like many female-dominated professions, it is paid less than male-equivalent jobs. Subsequent Court decisions have upheld the Employment Court (see Timeline above). The NZ Aged Care Association (NZACA) has expended large sums of money on legal action to thwart the cost of raising wages for aged-care workers. NZACA fears the increased cost of a ballooning wages-bill impacting on it’s members, which has traditionally relied on low-paid labour to operate. Unfortunately the Government subsidy for aged care is not enough for providers to make a profit. Over the last decade, 200 aged care facilities have closed primarily for financial reasons. The majority of these facilities relied on the government’s subsidy for their revenue. The existing aged care sector cannot afford to increase all aged care worker’s wages at an estimated cost of $120 – $140 million alone – the sector will need increased Government subsidies to prevent further closures of our aged care facilities. The Government contract undervalues the worth of caregivers working in the private aged care sector. A caregiver working in a District Health Board geriatric hospital receives on average $17.50 an hour compared with an average hourly rate of $15.30 in our sector. NZCA has been lobbying Government for many years to put more money into this sector which cares for New Zealand’s most vulnerable citizens. “Another reason why we need to appeal is that there are hundreds of rest homes operated by individuals and community trusts from Kaitaia to Bluff who have told us they would close if wages went up significantly and funding stayed the same. “The Government is the sector funder and it is really up to it to decide whether it wants a resolution to the long standing pay equity issue,” he said. Encouraging National to act will be no easy task to achieve. 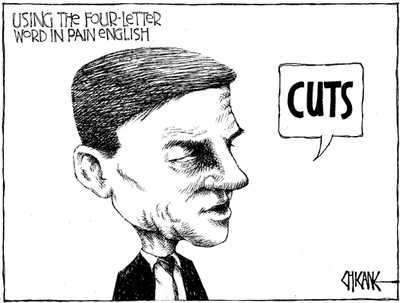 The Employment Equity Act was passed in 1990, but repealed within months after the National Party came to government. In 2009, the current National government abolished the Pay and Employment Equity plan of Action and the Pay and Employment Equity Unit that had been set up in the Department of Labour in 2004. A cynic would suggest that low wages assist National to reduce the amount it has to pay to subsidise aged-care workers. It is providing a service ‘on-the-cheap’, in a way similar to fast-food chains employing staff at minimum wage, to produce high-carb, fat-laden, ‘fast food’. In fact, it would not be the first time that National has been exposed as supporting low wages – despite Key’s pious utterances otherwise. Hon David Cunliffe: Will the Prime Minister support the pay increase for the quarter of a million workers who would directly benefit from Labour’s minimum wage changes, which will provide a significant boost to the economy through boosting workers’ spending power? Employers and Manufacturers Association chief executive Kim Campbell said the task force would need to establish clear terms of reference, because comparing the relative value of different jobs was complex. He said any decision to boost pay rates in some industries would come with a cost. This argument that, by increasing wages, people’s taxes “may go through the roof” is not just over-the-top scare-mongering – but is instructive of the mentality of individuals like Kim Campbell. The argument that Campbell is putting forward is that taxpayers are entitled to cheap labour. Is this the inevitable consequence after seven tax cuts, spanning twentynine years? Because if reduced tax revenue has resulted in central government being unable to pay fair wages for workers (whether as state sector employees or subsidised workers in the private sector), then we have created a rod for our own backs. Regardless whether sufficient tax revenue exists or not, Campbell’s suggestion that taxpayers are somehow justified in expecting an exploited workforce is odious. It is attempting to re-create a quasi-modern-day slave work-force. If successive governments were foolish in cutting taxes (usually as election bribes) to such a level that the State can no longer afford to pay for services New Zealanders expect as of right, then the solution is crystal clear: raise taxes. I doubt many National-voting New Zealanders will happily contemplate a future in their dotage without a workforce of aged-care staff who are remunerated sufficiently to wipe the spittle from their wrinkled chins; change their faeces-and-urine-soaked underwear; and all the other myriad tasks associated with necessary good care. Just how much do New Zealanders want aged-care in their twilight years? If we do, we should be prepared to pay for it. Mr Woodhouse said there were other cases before the courts. Unions had agreed to put legal action on hold until March 2016 to allow the working group to proceed, he said. This problem could never be resolved without government involvement. By subsidising aged-care workers, it is in effect, a secondary employer, and therefore has responsibilities to make good an untenable and unfair situation. Otherwise, if National cannot resolve this decades long problem, more radical and direct solutions need to be considered. Where aged-care facilities are non-profit, increase subsidies paid directly to workers or change their employment status to State employees, with similar pay rates, benefits, and protections. Where an aged-care company, are profit-making ventures that return a dividend to shareholders, such Oceania (45 facilities), Ryman (25 facilities), and Radius (19 facilities), they should be made by law to increase the wages of their staff first and foremost. Nationalise the aged-care industry. Looking after the elderly should not be an “industry” where the profit motive (in many instances) is the guiding principle. This should be no more acceptable than having primary schools or hospices run as businesses. If private enterprise cannot pay it’s workers a fair wage, as well as operate effectively, then the State has a responsibility to intervene and assume a more direct role. Neo-liberal activists and fellow-travellers may balk at such a suggestion, but they should consider one important factor they may have forgotten: we all grow old eventually. Including free-marketeers. 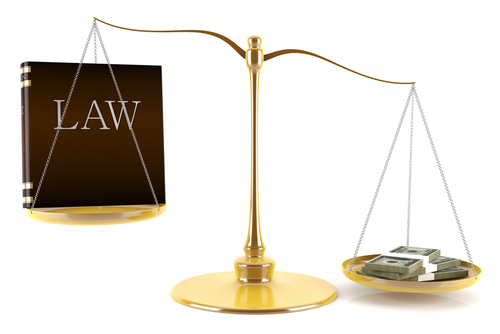 The court shall have power from time to time, of its own motion or on the application of any organisation of employers or employees, to state, for the guidance of parties in negotiations, the general principles to be observed for the implementation of equal pay in accordance with the provisions of sections 3 to 8.
approach, if it leads to a significant wage increase for the plaintiff members. On 2 April, Aged Care Association’s CEO, Martin Taylor, left his role at NZACA and assumed a new position as Labour leader, Andrew Little’s, director of research and policy. The nzdoctor.co.nz press release refers to Taylor’s role in the Kristin Bartlett equal-pay case. Radio NZ: Equal pay on the way for women? This blogpost was first published on The Daily Blog on 26 October 2015. “So that means the government has to take a different approach to reducing debt and maintaining surpluses than we have done in previous cycles. So there won’t be any sense of the constraints coming off because I think in the past that has been the expectation after a period of constraint. It’s important that we continue to focus on improving our expenditure management so that we don’t slip into old habits and put that 10 kilos back on again. Minister of Social Development Anne Tolley admitted that having to provide monthly medical certificates in the early stages of cancer was difficult, but said the government had to draw a line somewhere. “You start creating a whole lot of layers and there would be, I’m sure, other groups of people that would come forward and say, ‘we need special consideration too’. Hundreds of cancer patients are being placed on the Jobseeker benefit while they are getting treatment. One woman, who does not want to be identified, applied for a benefit when she was diagnosed with breast cancer. Cancer Society chief executive Claire Austin said the woman’s story was common, and the system lacked common sense and sensitivity. She said many cancer patients had never been on a benefit before, and deserved help while they were going through an extremely tough time. “The situation really is ludicrous. We’ve got people who are already in work, who are unable to work because they are either sick and have to go through treatment, or have surgery. The welfare “reforms” of 2013 were carried out by Paula Bennett – herself a former solo-mother and receiver of a free tertiary education paid by WINZ. Minister of Social Development Anne Tolley acknowledged that having to provide monthly medical certificates in the early stages of cancer was difficult, but said the government had to draw a line somewhere. She said if cancer patients were given special consideration, other people would want those considerations as well. Tolley complained that if cancer patients were given special consideration, other people would want those considerations as well ?! Well, yes. If “other people” were equally sick, critically injured, or suffering some degenerative condition – they would need state support. After all, that is why we have a welfare system. That is why Ms Tolley is the Minister for Social Welfare, and is on an annual salary of $272,581 (plus some very generous allowances, retirement perks, and superannuation fund). Interviewed on TV3 News in June 2012, she even taunted boy-racers to carry on breaking the law by challenging them to “bring it on“, so their cars could also be confiscated and destroyed. 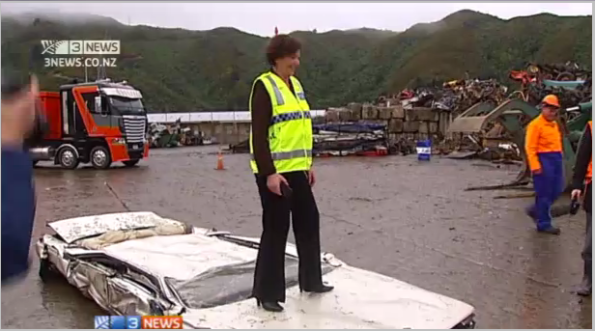 “What, then, was the Police Minister, Anne Tolley, doing dancing on the bonnet of a crushed car at a Lower Hutt scrapyard this week? This was a crass stunt unbecoming of any minister of any government. Three years later, on 21 June this year, political reporter Corin Dann interviewed Social Development Minister, Anne Tolley for TVNZ’s Q+A. The interview was brilliant, in that we, the public, caught a further glimpse of a person who apparently has very little empathy or concern for those less fortunate than herself. Last year, two year old old Emma-Lita Bourne died last year from a brain haemorrhage. Emma-Lita had been suffering from a pneumonia-like illness in the final days of her short, misery-filled, life, leading up to her death. A member of the public listening to Tolley’s comments where she admitted to “[not knowing] the details of that particular family” might have forgiven the Minister for an unfortunate turn-of-phrase that simply came across as someone who didn’t care. “Where you draw the line is always the issue. You start creating a whole lot of layers and there would be, I’m sure, other groups of people that would come forward and say, ‘we need special consideration too’. – and Tolley’s apparent lack of interest in children dying in cold, damp State houses, coupled with an obvious delight in crushing cars – confirms an impression of a somewhat indifferent, cold, and unpleasant personality. But is that the sum-total of why Tolley refuses to understand the needs of families living in damp houses, or cancer-sufferers being forced to jump through bureaucratic hoops for no discernible good reason? The Opposition were prepared to make the most of National’s impending failure to meet it’s own goal of generating a surplus. It’s reputation, according to public perception, of being the Party of Responsible Fiscal Management would be badly damaged if it failed to deliver on it’s promise of a 2014/15 surplus. If National could not balance it’s books by tax-revenue, it had only one other option available to it – reduce spending. Note that many of the areas cut were those relating to health, education, justice, and housing/community development – four of the most critical areas of any government’s spending. No wonder so many hospitals are in the ‘red’ with their budgets. No wonder so many schools cannot afford maintenance on their delapidated buildings. 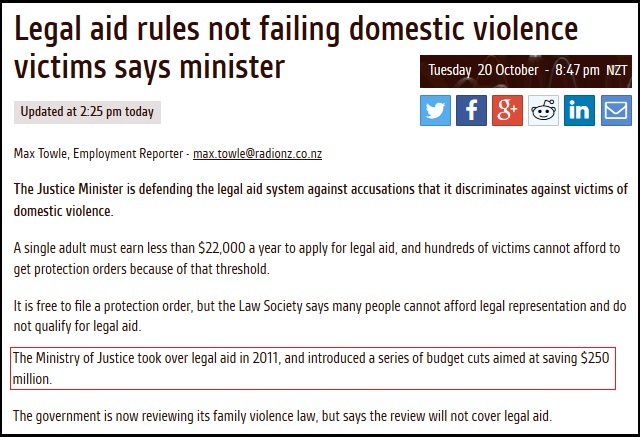 The Ministry of Justice took over legal aid in 2011, and introduced a series of budget cuts aimed at saving $250 million. [Criminal Bar Association president Tony] Bouchier said things had deteriorated since then, and more funding was the answer. “The whole idea of legal aid is to give people the opportunity of access to justice which is an absolute basic right in this country,” he said. “It comes down to whether the government is going to properly fund the legal aid system; that’s where we’re at at the moment. Fair-minded people would not expect that women (and others) needing protection under the law, from violent partners, should be denied access to a lawyer, and expect legal aid if they required it. Especially if their safety, and that of their children, depended on it. But not according to this government. According to this government, cancer sufferers and victims of domestic violence should not expect ” special consideration “. The surplus is worth celebrating, even if it does not last long. But it would be wrong to give it away in tax cuts, even if it proves to be sustainable. It’s editorial headline, “Use surplus for benefit of everyone” was positively socialist. National also loves to invest in property. Specifically, a luxury $11 million apartment in New York, and a $6.2 million luxury Hawaiian mansion. Total cost to taxpayer: $17.2 million. Bailing out Tiwai Point aluminium smelter, and helping Rio Tinto make a good profit ($10.2 billion!) that year? Cost to taxpayer: $30 million. Subsidies and special tax concessions to Warner Bros for ‘The Hobbit‘, and to other movie companies? Cost – ongoing. Anne Tolley asked; “Where you draw the line is always the issue”. The above list might be a good start. National’s “achievement” of a $414 million surplus was paid for by ordinary New Zealanders; sick people suffering from cancer; State house tenants with sick and dying children; women bashed by their partners. Children living in poverty. The unemployed and solo-parents (mostly women) pushed off welfare for most trivial reasons. All have also paid dearly for this government’s excesses. “[There were] probably just as many who gave up because it’s just too distressing, too complex, there’s a lack of sensitivity in terms of the process”. One wonders how many of those estimated 800 cancer sufferers who are on the jobseekers benefit, and are being chased by WINZ to fulfill work-ready obligations, also voted National? If one quarter of the population are represented by the 1,131,501 voters who voted for National last year, then it would be fair to assume that a similar ratio of one quarter (200) of those 800 cancer sufferers voted National. Is this what they expected from their charismatic Prime Minister, that nice, friendly, easy-going Mr Key? Which sector of New Zealand society will be next to feel the cold, dead hand of this penny-pinching government? A government that refuses to invest in New Zealanders who need assistance the most – but has no hesitation throwing money at luxury limousines; multi-million dollar residences; subsidies to corporations; and a farm in the middle of nowhere in a Saudi desert. According to Treasury, as at 30 June 2015, net government debt currently stands at NZ$60.631 billion. That equates to 25.2% of GDP. Current net debt is six times what it was, seven years ago. Key’s insistence that New Zealand is safe from lawsuits from foreign corporations indicates he was privy to the text of the finalised Trans Pacific Partnership Agreement (which is still a closely guarded secret by Trade Minister Groser) and that we, as a nation, are now fully exposed to litigation from Investor-State Dispute Settlement (ISDS) processes. It seems that Dear Leader spoke too soon. “Quite frankly, you can get appeals both ways, so when Shanghai Pengxin was granted the right to buy the Crafar farms, there was also an appeal because that went through, and it was tested back in court – now it’s going the other way. 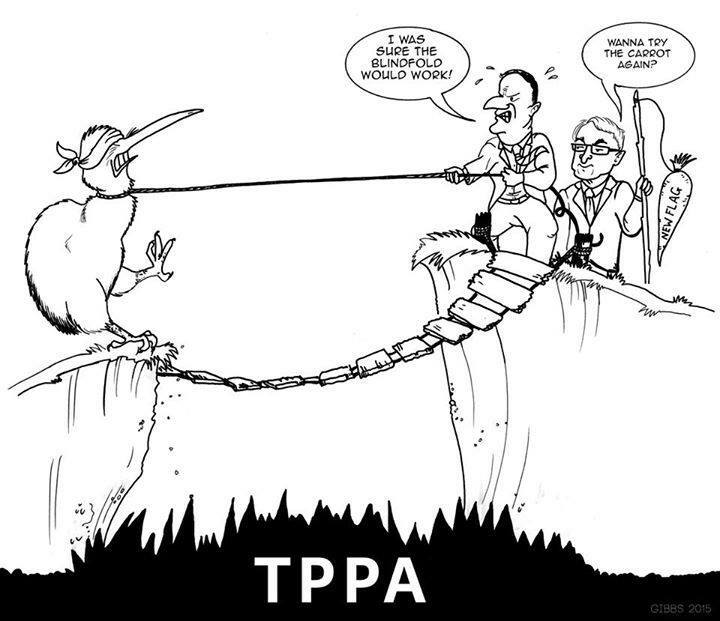 The only difference between scenarios envisaged under the TPPA and the Lochinver Station-Shanghai Pengxin-OIO case is that the latter is being tested under the jurisdiction of a New Zealand Court of law instead of an extra-judicial, and often-secret, corporate tribunal overseas. We now have a situation in our own country where, if we determine not to sell to an overseas investor, that decision can be over-turned. Our laws now allow foreign interests to be on an equal footing with New Zealand citizens. You no longer have to be a tax-paying citizen (born or naturalised) to hold certain rights. You can be a foreign corporation (or wealthy individual) with deep pockets and a small militia of flinty-eyed lawyers. Money is now all it takes. Mark 15 October 2015 in your diary as the day when our sovereignty was forfeit in the pursuit of global finance. If we dare say ‘No’, they have ways of changing our minds. This will be the first, of many to come, “legal” challenges to our sovereignty. And the worst aspect to where we have arrived, 31 years after David Lange’s government was elected and Roger Douglas began his so-called free-market “reforms”? As a nation, Kiwis have allowed it to happen. We did this to ourselves. Even Tim Groser was in the dark?! This blogpost was first published on The Daily Blog on 17 October 2015. 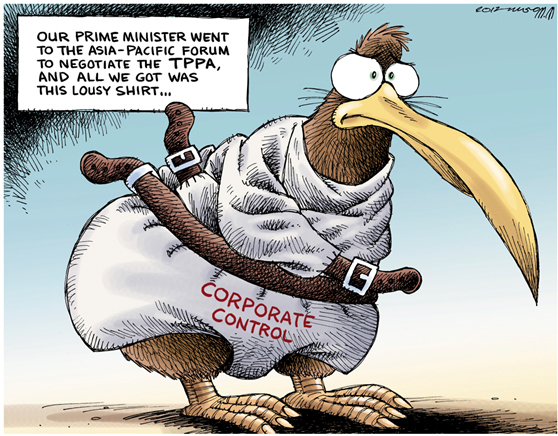 .On 4 October 2015, on TVNZ’s Q+A, our esteemed Prime Minister reassured New Zealanders that we had nothing to fear from the newly signed TPPA, and it’s controversial provisions for corporations to sue us. Barely a fortnight has passed since he uttered those resolute words on our television screens – and New Zealand is now being sued. 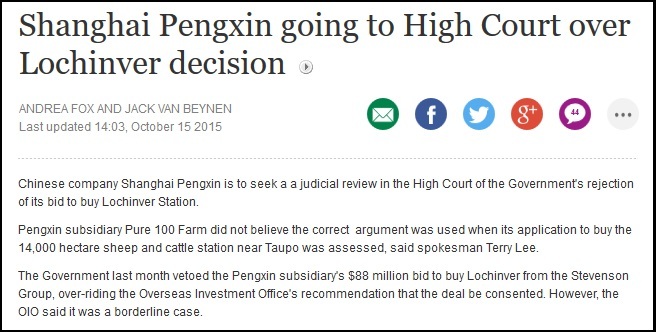 Chinese corporation Shanghai Pengxin – the same company that bought the 17 Crafar Farms last year – was recently denied permission to purchase the vast 14,000 hectare Lochinvar Station. Even the current National government believed that was a step too far. 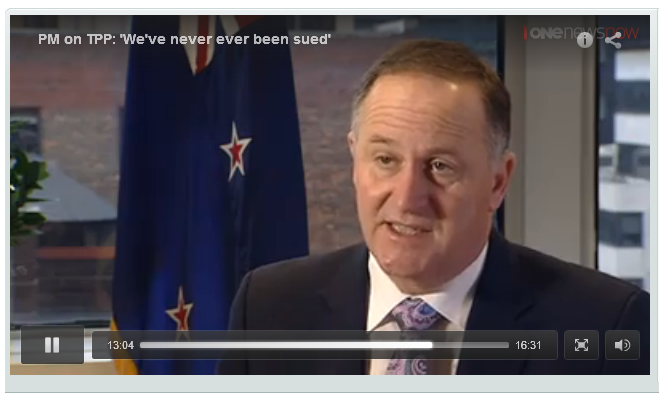 John Key’s words that “There has never been a case taken against New Zealand…” and “We’ve never, ever been sued” now ring hollow in our ears. The first (of many) lawsuit by a foreign corporation has begun. With it, the beginning of the end of our sovereignty, as overseas interests now force their way further into our country, and economy, irrespective of our wishes. And the TPPA’s provisions to allow further lawsuits by corporations has not even been implemented yet. On 4 October, our esteemed Dear Leader assured New Zealanders that, under the various free trade agreements we are party to, “there has never been a case taken against New Zealand…” and “we’ve never, ever been sued…”. Key’s “assurances” were made four days prior to MFAT (Ministry of Foreign Affairs and Trade) releasing “Fact Sheets” outlining New Zealand’s exposure to lawsuits from corporations. Two MFAT documents – Investment and ISDS and Market Access for Services and Investment are dated by a Scoop Media press-release which places their release at 8 October. Despite Key’s insistance that “there has never been a case taken against New Zealand…” and “we’ve never, ever been sued…”, one only has to look across the Tasman to understand the full ramifications of ISDS provisions in trade agreements. Indeed, Dann was spot on. A little under two years ago we had our own Smoke-free Environments (Tobacco Plain Packaging) Amendment Bill, introduced by then co-leader of the Maori Party, Tariana Turia, on 17 December 2013. The Health Committee has examined the Smoke-free Environments (TobaccoPlainPackaging) Amendment Bill and recommends that it be passed with the amendments shown. Despite cross-party support (with the curious exception of NZ First, for reasons that defy understanding), the Bill was put on “hold” by National. Remember that this is an industry that kills up to 4,600 people each year. If it were a bacterial or viral disease, the entire nation would be in a State of Emergency, and entire communities, towns, and cities quarantined. Is “learnings” an actual word? John Key insists that New Zealand has never been sued under any free trade agreement. Strictly speaking, that is correct. However, we have already seen how even the possible hint of a lawsuit is sufficient to stay his hand and prevent the passing of a law that could potentially have saved up to 5,000 lives a year and saved the health system up to $1.6 billion per annum (est.). In which case, the ISDS clause of the TPPA may never be tested under a National government – they would simply shy away from any legislation or other governmental policy provoking the merest suggestion of legal action. No matter how beneficial a policy might be. Lisa Owen: You could force plain packaging for fizzy drinks, say? Tim Groser: I believe you probably could as long as you had a good health-based case and you’re ready to defend it. Key’s timidity has already been shown with crystal clarity; we’ve never been sued before simply because National hasn’t the guts to be challenged. Get some guts, Dear Leader! So Key is suggesting that Philip Morris chose to use an Australia-Hong Kong FTA rather than an Australia-US FTA because “the threshold was so high”?! Even if tobacco company Philip Morris chose to employ a Hong Kong-Australia FTA to sue the Australian government, the fact seems immaterial at best. As UN data shows, US-based investors are not at all reticent in using ISDS provisions to launch lawsuits against sovereign governments. We have just entered into a trade agreement with the most litigious nation on Earth. 25% (87 cases) ended in favour of the investor (monetary compensation awarded). 8% of claims were discontinued for reasons other than settlement (or for unknown reasons). 2% (seven cases), a treaty breach was found but no monetary compensation was awarded to the investor. In 2014, 60 per cent of all cases were brought against developing and transition economies, and the remaining 40 per cent against developed countries. In total, 32 countries faced new claims last year. 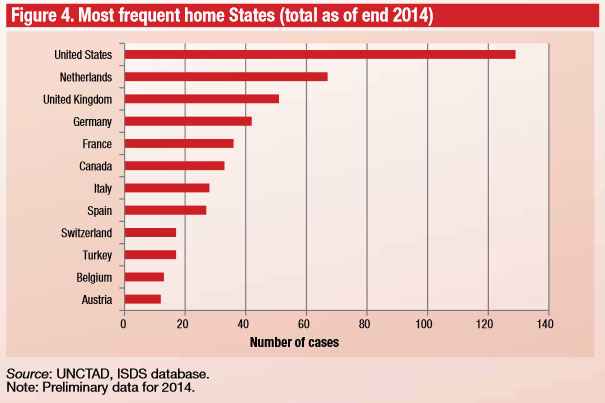 The most frequent respondent in 2014 was Spain (five cases), followed by Costa Rica, the Czech Republic, India, Romania, Ukraine and the Bolivarian Republic of Venezuela (two cases each). 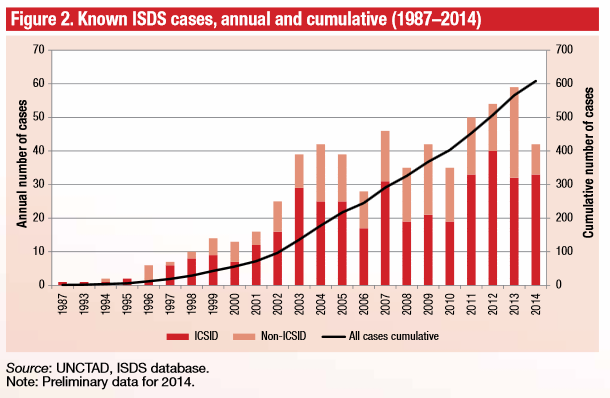 Three countries – Italy, Mozambique and Sudan – faced their first (known) ISDS claims in history. This claim is still in arbitration. And it is just one of a growing number of such cases. In 2012 a record 59 were started; last year 56 were. The highest award so far is some $2.3 billion to Occidental, an oil company, against the government of Ecuador, over its (apparently lawful) termination of an oil-concession contract. Canada is the most-sued country under the North American Free Trade Agreement and a majority of the disputes involve investors challenging the country’s environmental laws, according to a new study. About 63 per cent of the claims against Canada involved challenges to environmental protection or resource management programs that allegedly interfere with the profits of foreign investors. The government has lost some of these environmental challenges and has been forced to overturn legislation protecting the environment. In 1997, the Ethyl Corporation, a U.S. chemical company, used chapter 11 to challenge a Canadian ban on the import of MMT, a gasoline additive that is a suspected neurotoxin and which automakers have said interferes with cars’ diagnostic systems. The company won damages of $15 million and the government was forced to remove the policy. A year later, U.S.-based S.D. Myers challenged Canada’s temporary ban on the export of toxic PCP waste, which was applied equally to all companies. Canada argued it was obliged to dispose of the waste within its own borders under another international treaty. However, the tribunal ruled the ban was discriminatory and violated NAFTA’s standards for fair treatment. Egypt raised its minimum wage at the beginning of last year . It wasn’t much by Australian standards, just $74 a month, but for a state employee on 700 Egyptian pounds a month ($102), a rise to 1200 pounds is not to be derided. A French multinational with operations in Egypt, however, did not like this minimum-wage effrontery. A couple of months later, Veolia, the global services juggernaut, bobbed along and sued Egypt for the grievous disadvantage it had suffered thanks to the industrial relations changes. Veolia’s claim relies on ISDS provisions in a trade treaty between Egypt and France. The Philip Morris lawsuit is expected to cost Australian taxpayers $50 million to defend, and proceedings will be held in Singapore, before a secret tribunal. Two MFAT “fact sheets” – Investment and ISDS and Market Access for Services and Investment – offer a government view of the TPP Agreement. The actual text of the TPPA will not be released for several weeks, giving National Ministers a monopolistic opportunity to push the government position, unchallenged. This blogpost was first published on The Daily Blog on 13 October 2015. Hospital DHBs are in debt; community groups underfunded; and there’s a $60 billion government debt hangjng over our heads – and English is planning an election bribe with hints if tax cuts? This is irresponsible in the extreme. Question is, will kiwis buy this bribe? As long as they know we will end up paying for it with higher debt and slashed public services. We get what we pay for, or in this case, what we don’t pay for. Questions have arisen regarding the supposed “safe-guards” Monitors at Mt Eden Prison, and at least one aspect of the Serco-Corrections Dept Contract. (d) anything else relating to the Services. 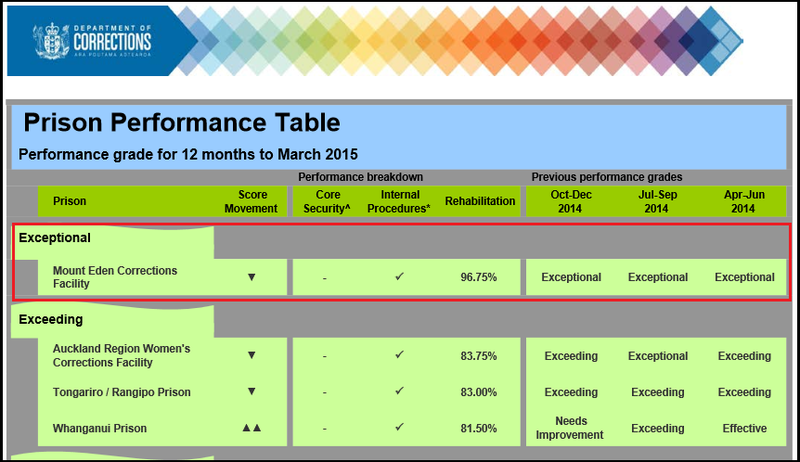 Since April 2014, Mt Eden has rated “Exceptional” in previous performance grades. It’s rehabilitation rates at 96.75% – which in itself is odd, as Mt Eden is also a Remand Prison, and 676 out of 952 prisoners (as at 31 December 2014) are on remand; awaiting trial; and have not been convicted of any crime. There are fresh revelations private prison operator Serco went out of its way to make sure its squeaky clean record stayed that way. In Mt Eden prison where inmates are king, are guards who say they’re understaffed and afraid. “It’s about time we all spoke out and say what it’s actually like,” says one guard, who spoke to 3 News on the condition of anonymity. He says when prisoners or guards break the rules, management would rather official reports tell a different story. “You’re told to state the facts, but to leave all other things out of it. The Government says it didn’t know what was going on, despite the fact three prison monitors – who are Corrections employees – have been there since Serco’s first day. Under the Corrections Act, prison monitors must report to the chief executive at least every four months. The sole purpose of their job is to report on prison management and any concerns they may have about the prison’s running. The government claims “it didn’t know what was going on”. In which case, not only was the Correction Minister’s office kept in the dark – but also the entire Corrections Department. Is this feasible? It is inconceivable that National Ministers did not know the depth of problems afflicting Mt Eden and Serco. In which case, this government was actively complicit in a cover-up, to protect it’s credibility with voters – and to safeguard it’s privatisation agenda. I am querying the appointment on Monitors for Mt Eden Prison, which up till yesterday (27 July), was managed by Serco. 1. Who employs the Monitors? Is it Serco or the Corrections Department? 2. Who do they report to; Serco or the Corrections Department? 3. Who pays their salaries; Serco or the Corrections Department? 4. Are the Monitors responsible for providing information to Corrections, which forms the Prison Performance Table? If not, who provides that information? 5. Are the Monitors still employed at Mt Eden? If not, why not? 6. Have the monitors made any Incident Reports to Corrections, as required Prison under the Management Contract for Mt Eden Corrections Facility (para 22.2). If so, what Incidents were reported and when? Please respond asap to this OIA request, as this is a matter of some urgency. I predicted “that Corrections Dept will use a provision within the Official Information Act to request an extension to the 20 Working Day time-limit“. I was wrong. It did not take 20 working days to respond. It took over two months. The Corrections Dept did not respond until 6 October last year. Even then, the information provided did not answer my questions and was totally unsatisfactory. – Corrections confirmed that “Prison monitors are employed by the Department of Corrections and are paid by the Department“. – was misleading and unhelpful. On this issue, the ‘buck’ stopped firmly with the Corrections Dept and at CEO Ray Smith’s desk. Then-Corrections Minister, Sam Lotu-Iiga, displayed appalling ignorance in not knowing this salient fact. ” Are the Monitors responsible for providing information to Corrections, which forms the Prison Performance Table? If not, who provides that information? Note that response: “if an incident occurs, Serco must report the incident to Corrections“. But that was not the question put to the Corrections Dept. The question was “have the monitors [my emphasis – FM] made any Incident Reports to Corrections, as required Prison under the Management Contract for Mt Eden Corrections Facility“. Clearly, the responder to my OIA – Deputy Chief Executive Jo Field – was unwilling to address the question as to what Incident Reports had been made by Prison Monitors employed by Corrections to keep an eye on Serco’s management of Mt Eden. Under the OIA, you are required to provide relevant information to the question; 1. Have the monitors made any Incident Reports to Corrections, as required Prison under the Management Contract for Mt Eden Corrections Facility (para 22.2). 2. If so, what Incidents were reported and when? Furthermore, under the OIA, I am requesting Incident Reports, or any other documents, from Prison Monitors at Mt Eden,within six months leading up to 24 July 2015, to Corrections Dept, the Corrections Minister, or any other government agency. “Thank you for your email dated 16 October 2015, requesting information about incident reports prepared by Prison Monitors. Your request has been considered under the Official Information Act 1982 (OIA). It was clearly evident that whatever written documents had been issued by the Mt Eden Prison Monitors, the Department of Corrections was not about to make them public. It was questionable that any such documents “would be likely otherwise to damage the public interest“. In fact, the only interests that would likely be harmed would be Serco and the Corrections Department itself. This was to be borne out by the Chief Inspector of Corrections, Andy Fitzharris, who was tasked with investigating allegations of fight-clubs at Mt Eden, and smuggling of contraband (cellphones, etc) into the facility. His report – which was initially held back as Serco sought a judicial review to contest it’s findings – was only recently released. The Chief Inspector’s report was damning of Serco and critical of the Corrections Department. More critically, the Inspector was able to learn why Prison Monitors had been impotent in the face of Serco’s mis-management of the facility. 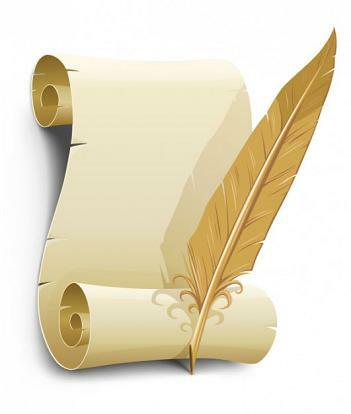 (ii) whether or not the contractor responsible for the management of that prison is complying with that contractor’s prison management contract and with the provisions of this Act, and any regulations made under this Act, and any instructions or guidelines issued by the chief executive under section 196 that are applicable to the prison. 14. “The principal means of oversight is via Monitors, who are appointed under the Corrections Act 2004 to assess and review the management of MECF. Serco is required to provide incident reports and performance reports to Monitors. The on-site monitoring team is managed by Corrections’ Relationship Manager Private Prisons, who reports to Corrections’ Chief Custodial Officer. 15. “…Carrying out daily observation walks through MECF, and observing operational practice. Contrary to Corrections stating in their 3 November 2015 OIA response that “Prison monitors do not prepare Incident Reports; this is the responsibility of the Contractor (Serco). Prison Monitors prepare Monthly Contract Reports, which update senior Departmental staff on issues and events that occur each month at MECF. 340. “The Monitors reported that they considered that they were required to establish a balance between reporting potential non-compliance by Serco, and providing advice on operational matters to Serco. There was therefore some confusion among Monitors as to the appropriate steps required to address identified issues. 344. “The Monitors advise that their relationship with MECF management was often very difficult. They would sometimes experience significant ‘pushback’ from the MECF Prison Director when raising issues requiring remedial action. There is no evidence that their objectivity and independence has been compromised. 345. However, I believe the Monitors have been overwhelmed, worn down and consumed by MECF management continually challenging their requests for resolution to matters. However, this was not simply the fault of stressed, overwhelmed, worn down Prison Monitors. Nor even Serco which exploited what it quickly perceived as weaknesses in the system, and an ideologically-driven government that was sensitive to any suggestion that it’s privatised prison model was failing on all levels. Corrections NZ should also be held to account. It is my belief, based on the obfuscatory nature of OIA responses from Corrections NZ, that it was unwilling to answer specific questions regarding Prison Monitors. The responses from Corrections NZ were not just shrouded in ‘bureaucratese’ – they were a deliberate ploy not to provide answers to specific questions. 36. In May 2014, Corrections received information from a Probation Officer that she had been informed by offenders that there was organised fighting occurring at MECF. 37. On the basis of the information received, the PSU made enquiries, which included interviewing the probation offenders who alleged there was a significant amount of fighting taking place, particularly in two units. Offenders had also made allegations that staff were involved in assaults, gambled on fights, and placed prisoners in dangerous situations. However the PSU investigation concluded that there was no substantiated evidence supporting these claims. 38. Following the PSU enquiry, the National Commissioner of Corrections directed an operational review of this issue. Two principal custodial advisors were appointed as special monitors (the Special Monitors), and undertook an investigation in June 2014. The Terms of Reference for the Special Monitor’s report were to investigate the allegations of organised fighting uncovered by PSU’s enquiries. The methodology included: reviewing all available CCTV footage and interviewing any prisoners, staff or incident notification reports that related to fights and assaults. 39. A final draft of the Special Monitors’ report was completed on 9 July 2014 and a copy delivered to the office of the National Commissioner. a) Prisoner interviews indicate that organised fighting was occurring. b) All prisoners who confirmed the existence of organised fighting said it was being organised by criminal gangs. c) There was no evidence of staff involvement other than reports by prisoners, but staff at MECF must at least be aware of the existence of organised fighting. d) Staff who confirmed that organised fighting had occurred around 12 months ago said that incidents had occurred during periods of reduced staffing. Corrections NZ knew more than it has let on. That is why the 2014 Report was ‘buried’. It was only when the video-evidence of “fightclub” footage on Youtube emerged that Corrections NZ could no longer keep turning a blind eye to Serco’s mis-management at Mt Eden. 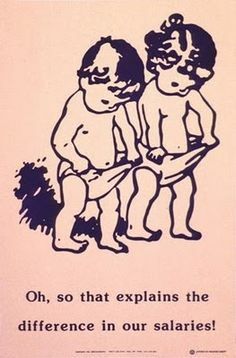 The dirty little secret was out in the open for all to see. It is my considered belief that Corrections NZ – up to the very senior levels of management – knew what was happening at Mt Eden. Curtis Gregorash said he was told by senior Customs executives to refuse Official Information Act and Privacy Act requests, which he believed was at the direction of former Customs Minister Maurice Williamson. It comes at a time the Prime Minister’s office is under inquiry over the release of intelligence material through the OIA and accusations that former Justice Minister Judith Collins was manipulating OIA responses for political purposes. This time, however, we can only hope that the Prison Inspector and Prison Monitors will force Corrections NZ not to look the other way. The Daily Blog: So the SERCO fight clubs were weekly? This blogpost was first published on The Daily Blog on 9 October 2016.